The Resurgence of “Martial Reunification”: Beijing’s Best Strategic Choice? Home /China, China-US, Japan, Security, Taiwan/The Resurgence of “Martial Reunification”: Beijing’s Best Strategic Choice? Written by Derek Ye Xiao Di. Cross-Strait relations in China entered a so-called “cold peace” (冷和平) period when Tsai Ing-wen (蔡英文) did not explicitly acknowledge the “1992 consensus” upon coming to power in 2016. Consequently, there was another round of internal debate about whether the Chinese government should promote the “martial reunification” of Taiwan to resolve the Taiwan conundrum during Xi Jinping’s (習近平) tenure. Such resurgence of a discussion of “martial reunification”, further triggered by Ji Ming-suo’s (紀鳴碩) commentary on Super-Media (超訊) in Hong Kong, has once again drawn wide attention in both academic and policy circles, particularly as the Beijing government staged an ambitious military parade to mark the ninety-year anniversary of the People’s Liberation Army at the remote Zhurihe Training Base (朱日和訓練基地) in the Inner Mongolia Autonomous Region. Why has the subject of martial reunification resurfaced? The reasons for the resurgence of interest in martial reunification can be divided into four levels: the international level, Cross-Strait relations, the state, and the leadership level. These four levels are of course interrelated. 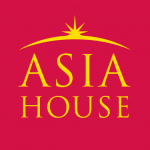 In terms of the international level, the Trump administration in the United States retains America’s strategic support for traditional allies in the Asia-Pacific region, which means that strategic pressure (referring mainly to the “containment” of China’s rapid rise) on the Beijing government has not changed significantly from the Obama era. In addition, structural pressure from the United States has been strengthened, as Trump has blamed Beijing for failing to prevent a new round of nuclear tests launched by North Korea’s Pyongyang government. Given the nuclear crisis in the Korean Peninsula, Taiwan’s strategic role with North Korea, and the increasing pressure for greater Chinese intervention from the Trump administration, reasserting dominance over Taipei’s government may be an effective means for Beijing to balance the aforementioned strategic pressure. 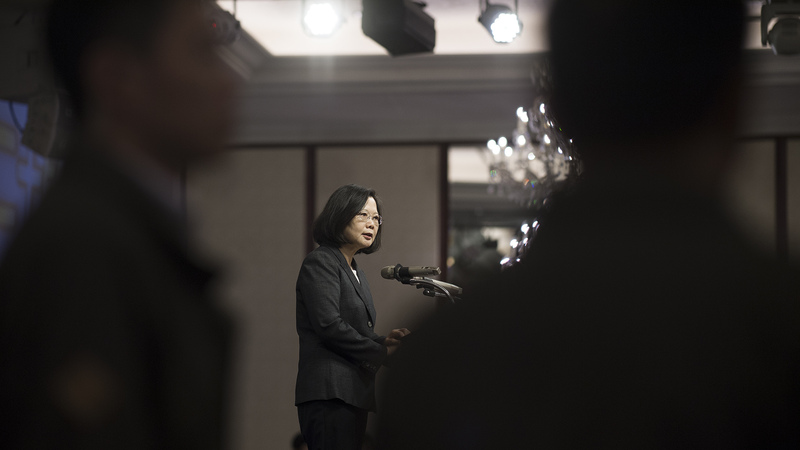 Related to Cross-Strait relations, the status of a “cold peace” and Tsai’s strong “pro-independence” rhetoric have caused Beijing to revisit the status of Cross-Strait relations and to become more assertive toward Tsai’s administration. Two factors have contributed to Beijing’s assertiveness: Taiwan’s shrinking international influence and more frequent military actions occurring across the strait. During Tsai’s first two years in power, the International Civil Aviation Organization (ICAO) did not invite Taiwan to participate in its annual conference, and the Taipei government was again denied access to the World Health Assembly’s meeting. In 2017, Panama’s decision to shift its diplomatic relations from Taiwan (ROC) to the mainland became a typical example of Taiwan’s shrinking international space. Also, with the military power represented by the Liaoning Aircraft Carrier, Beijing has increased the frequency of warplane demonstrations meant to deter Tsai’s administration in the past few weeks. One may conclude that Tsai’s pro-independence sentiment have both legitimised Beijing’s aggressive action with respect to the Anti-Secession Law, and also provoked renewed interest in martial reunification in mainland China. Meanwhile, fomenting tense Cross-Strait relations may shift Washington’s attention to the Korean Peninsula, which may in turn support Beijing’s strategy of balancing America’s structural pressure. At the state level, the propaganda of martial reunification with Taiwan is in-line with Chinese nationalism, which has been triggered over the past decades by the economic rise of China. After the successful assimilation of Hong Kong and Macau, Taiwan becomes the ultimate target that may allow China to scrub the “Hundred Years of Humiliation” it has endured since the Opium War. President Xi Jinping’s “Great National Rejuvenation” has led the Chinese imagination to envision that unification with Taiwan is possible through military action. With respect to the Chinese leadership, while Xi Jinping has centralised power since his early years as leader, maintaining domestic stability and maintaining order in the run up to the 19th National Congress of the Communist Party of China is still a top priority for preventing unexpected internal troubles (e.g., military conflicts). In this regard, the political consideration behind the China’s assertive posture toward Taiwan may be deterrence; i.e., preventing military conflicts caused by Taiwan’s de facto independence. The Best Strategy for Beijing? I would not argue that “martial reunification” is the best strategy for the Beijing government for several reasons. First, in accordance with the Taiwan Relations Act and the Treaty of Mutual Cooperation and Security between the United States and Japan, the Beijing government may encounter direct conflict with the United States—still the pre-eminent power in the world—and also with Japan—the world’s third most powerful economic entity—if it forcibly assimilates Taiwan. Given the lessons learned from past experience (international isolation) when the Chinese government adopted “revolutionary diplomacy” in its dealings with the “anti-two hegemons”（反两霸）, Xi’s administration may not be able to withstand two great powers if they unite against Chinese actions. Second, the military conflict across the Taiwan Strait may also lower the strategic credibility of the Asia-Pacific region. Martial reunification does not align with Beijing’s road-map of “peaceful development”, and it will likely threaten other neighbouring countries to the point that they organise themselves into an anti-China alliance. Third, although China’s comprehensive national capability is rapidly rising, there is still a large gap (especially in military power) between the United States and China. In this regard, setting an exact deadline (during Xi’s tenure or within 100 years of Taiwan’s independence) to address the Taiwan issue means that the Beijing government will have to conduct military operations against Taiwan regardless of whether the strength gap has been narrowed. This deadline may reduce Beijing’s strategic flexibility in its interactions with the United States, and it may plunge US-Sino relations into the “Thucydides Trap”. Finally, in line with Hong Kong’s case, the “One Country, Two Systems” formula is becoming less and less attractive for the Taiwanese, which means that even if the Beijing government finally achieves the reunification, a more democratic Taiwan will be prove much more difficult for the central government to control. The Possibility of Martial Reunification during Xi’s Tenure? The constraints of the aforementioned structural problems, ranging from international to domestic, most likely render Xi’s administration incapable of reunification with Taiwan in the short-term. However, Taiwan’s de facto independence, widely touted by the leaders of “Deep Green”, may force Beijing to resolve the Taiwan issue through military action. Indeed, Tsai Ing-wen’s authority in the Democratic Progressive Party is not as solid as anticipated. For instance, Lai Ching-te (賴清德), the Mayor of Tainan, recently proposed a new Cross-Strait relations narrative, called “Pro-China and Love Taiwan”, which is different from Tsai’s Cross-Strait policy. In response to Lai’s narrative, Koo Kwan Min (辜寬敏), one of the leaders of Deep Green and a pro-independence activist, suggests that it is not necessary for Tsai Ing-wen to fulfil her two tenures, and that Lai Ching-te may be a promising presidential candidate for Taiwan’s future. The pressure brought by the pro-independence activists may become increasingly apparent if no compromise is reached between Tsai’s administration and Deep Green. In this regard, the uncertainties created by the political struggle between Tsai and Deep Green may increase the possibility of martial reunification, especially when Tsai’s administration has to support Taiwan’s de facto independence, because she cannot handle the great internal pressure brought by the Deep Green activists. At that point, Beijing will be compelled to attempt the martial reunification of Taiwan according to the Anti-Secession Law. A new round of debates about martial reunification is a special by-product of a particular time, which is a synthesis of various international and local factors. In this sense, the resurgence of interest in martial reunification is playing an increasingly essential role in domestic politics, rather than being a purely strategic consideration for resolving the Taiwan issue according to an exact deadline in Xi’s agenda. Strategically, past experience and political realities suggest that martial reunification is not the best choice for the Beijing government, particularly when China is heavily confined by structural pressure from by the United States that has increased as China has continued to develop economically. This limits China’s incentive to resolve the Taiwan issue in the short-term. The most volatile factor currently in play is the pressure from Deep Green activists to transform de facto independence into formal independence; this pressure may force Xi to attempt martial reunification during his tenure. Derek Ye Xiao-Di is a PhD student at the Department of Political Science in National Taiwan University. He received his Master degree (Distinction with Dean’s Honor) in Greater China Studies at The Education University of Hong Kong, Hong Kong SAR His main research interests are ranging from the International Relations Theory (IRT), the transition of China foreign policy to the Hong Kong and Taiwan Studies. His current proposed project is to explain the dynamic change of Taiwan geopolitical role in America’s Asia-Pacific strategy in Trump’s era.